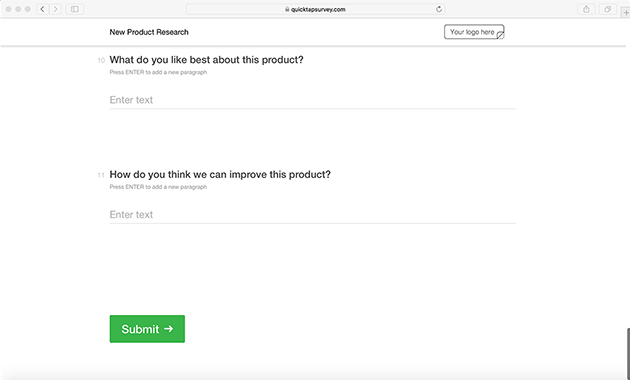 Are you looking to launch a new product? 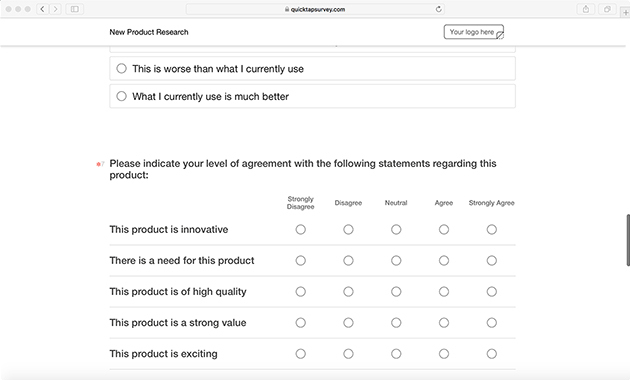 Use this new product research template to investigate the market viability, pricing options and target market for a new product to create a stronger launch strategy. 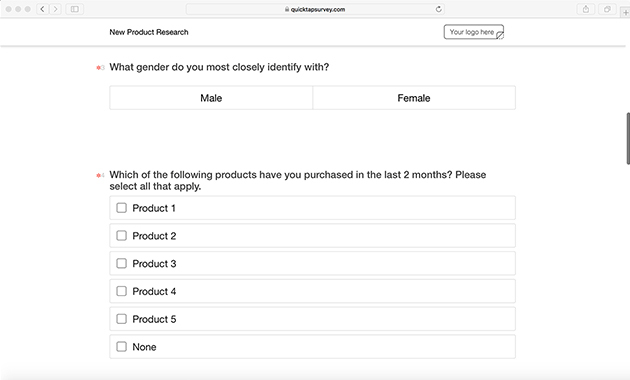 Making sure that you have the right product elements, positioning, market fit, and pricing before you launch a product can help save you a lot of money and headache. 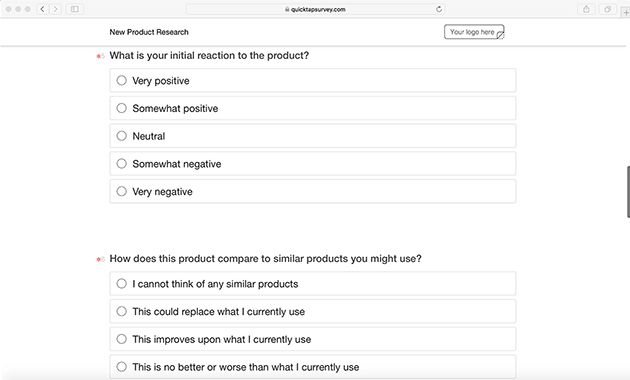 Here’s what you should make sure that your new product research uncovers. What Is the Market for Your New Product? 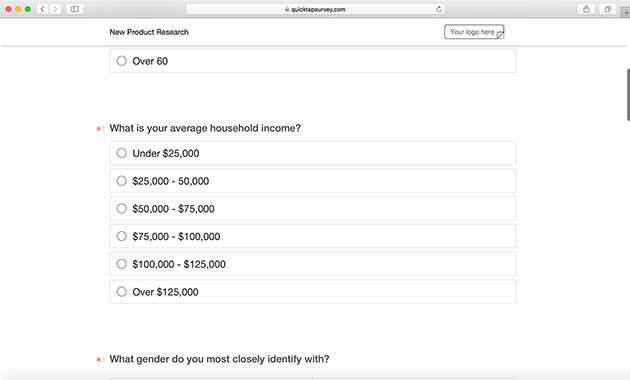 What market is your new product competing in? Who are the competitors that you will be selling your new product against? Who Are You Selling This New Product To? Who is the target market for the new product that you are launching? 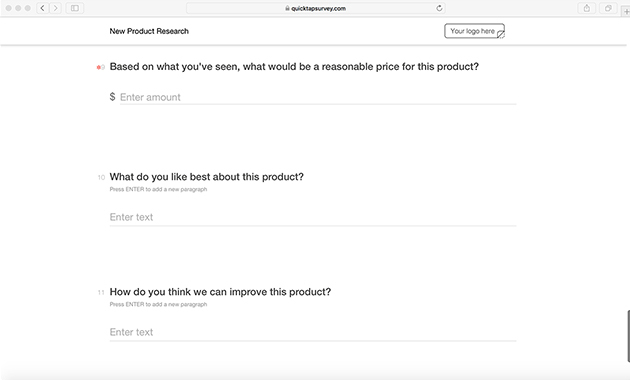 What Is Your New Product's Value Proposition? What value does your new product provide within its market and to its target market? 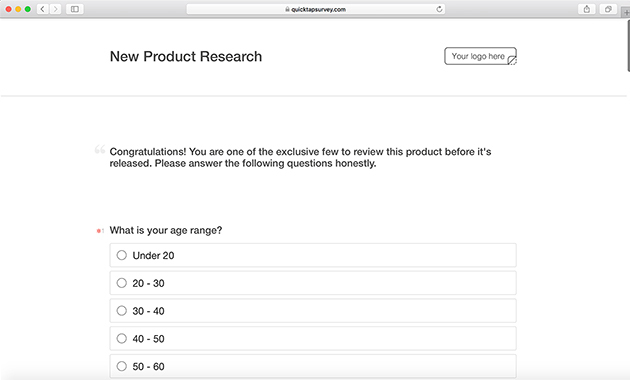 Looking to start capturing data for your new product launch? 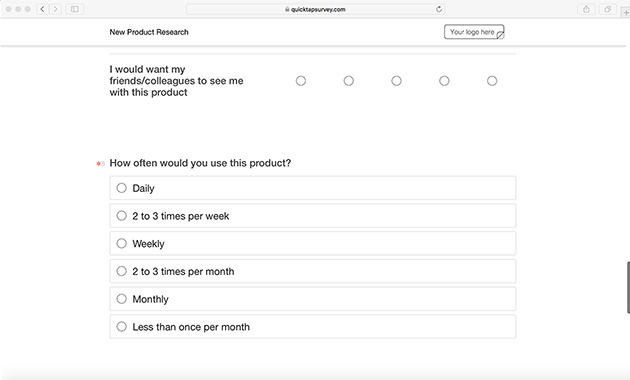 Adopt this new product survey template and customize it today by starting your free trial with QuickTapSurvey. Instead of pen and paper, you can capture insights on your new product using a tablet, and smartphones with no internet connection needed.